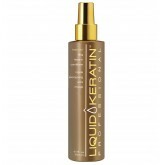 Infusing Deep De-Frizz Conditioner helps prolong and improve the results of Liquid Keratin Professio..
Having revolutionized the home keratin treatment category, Liquid Keratin is excited to be launch a ..
Infused Deep Conditioning Oil is a combination of Argan and Baobab oils specially formulated with Ke..
Say bye to color fading and that unwanted yellow! Our blue/violet conditioner combines a spe..
Say bye to color fading and that unwanted yellow! 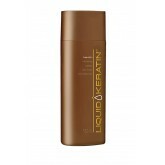 Our blue/violet shampoo combines a special.. 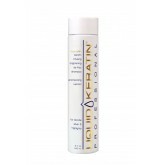 Filling Leave-In Conditioner helps prolong and improve the results of Liquid Keratin Professional Re..
Keratin Infusing Healthy Hair De-Frizz Shampoo helps prolong and improve the results of Liquid Kerat.. 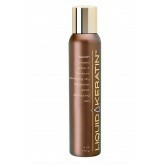 This weightless spray cuts blow dry time in half, and adds bounce and movement, while leaving hair s.. 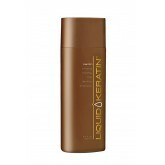 Prepares the hair to receive the Liquid Keratin treatment. 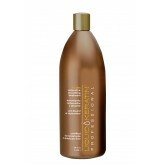 A gentle shampoo that deeply cleans and p.. Liquid Keratin Professional Restorative Smoothing Treatment is an exclusive new system developed to ..
Infused Shine & Moisture Renewing Dry Conditioner refreshes tired tresses, maximizes manageabili..
A 3-in-1 serum specially formulated with Keratin Protein Complex for ultimate control over wavy, cur..
Infused Volumizing & Revitalizing Dry Shampoo quickly and easily gives hair a wake-up call, abso..